Aid & Attendance, or A&A benefits is a pension program that will provide a veteran with monthly aid or assistance. A&A could also provide funds for surviving spouses of eligible veterans. The amount of money that is available through Aid & Attendance for veterans who qualify can be quite substantial, at well over $1,000 per month in certain circumstances. However, not every veteran will be able to qualify for A&A benefits so it is important to know specific eligibility requirements and to be able to prove that you meet those requirements. Veterans do not need to have a very long service record to be eligible for A&A benefits, but they must have been honorably discharged from military service and must have been on active duty. A veteran or his or her spouse must also be meet certain requirements when it comes to his health status. A veteran could qualify because he is unable to perform basic tasks of daily living, because he resides in a nursing home as a result of incapacity, because he is blind, or because he is bedridden. 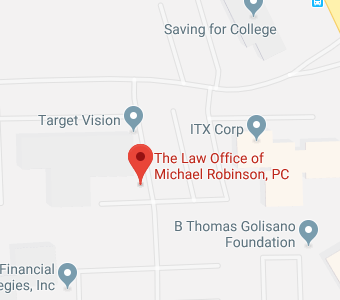 If you believe that you might meet these eligibility criteria and that you could potentially be eligible for monthly Aid & Attendance benefits to help you to pay for the costs of long-term care or the costs of nursing home care, you should work with The Law Office of Michael Robinson, P.C. to begin the application process so you can begin getting the necessary financial help to afford expensive healthcare costs that you are likely incurring.